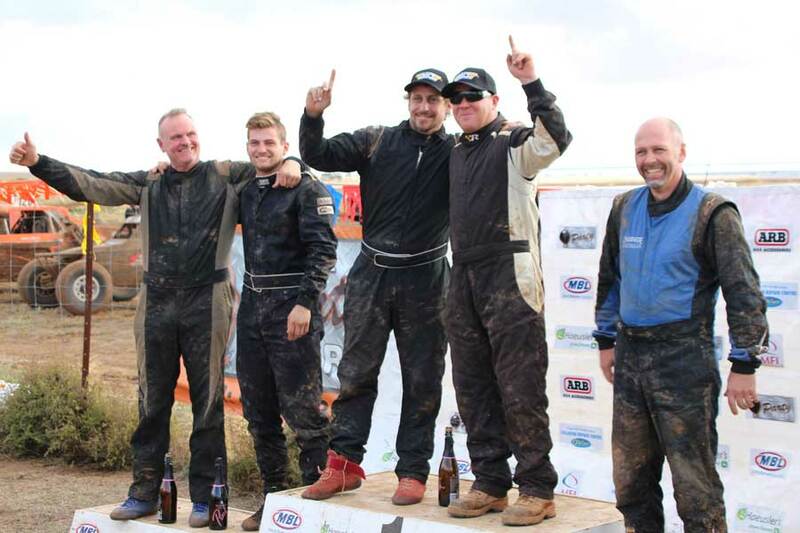 What an exciting finish to the 2018 Haeusler’s Sea Lake Mallee Rally ARB 400… with half a lap to go, local legend Cameron McClelland drove past pole sitters and event leaders Glenn Owen and Matt Ryan stopped trackside, to storm home to take his first ever outright win at his hometown race. Cameron said in a post race interview that he’d been trying for 22 years to win the event and couldn’t believe that he had finally done it. Brad Chasemore #10 crossed the line in second place however after time credits were given himself and Jamie Robinson for stopping to assist at a rollover, Jamie and Tom Robinson slotted into second place with Chasemore in third. After a sloppy start to the day the Lake Tyrrell course improved lap by lap with most competitors clocking in their fastest lap times on the last lap of the day.